As the youngest contestant to ever win Project Runway, Christian Siriano has not only made a prominent name for himself in the fashion world but also brought a fresh perspective to the industry. With an appreciation for diversity and inclusivity, Siriano has made headlines countless times with his bold designs worn by many note-worthy celebrities. Most recently, Siriano’s design worn by actor Jimmy Porter, which features the blazer and bow tie of a tuxedo as well as an elegant black gown, has received plenty of recognition. Fans and fashion gurus alike have praised Porter for disregarding gender roles to display the complimentary qualities of both traditional feminine and masculine fashion pieces while, at the same time, appreciating Siriano for providing a statement piece that is so attentive to the ever changing fluidity of gender and fashion. 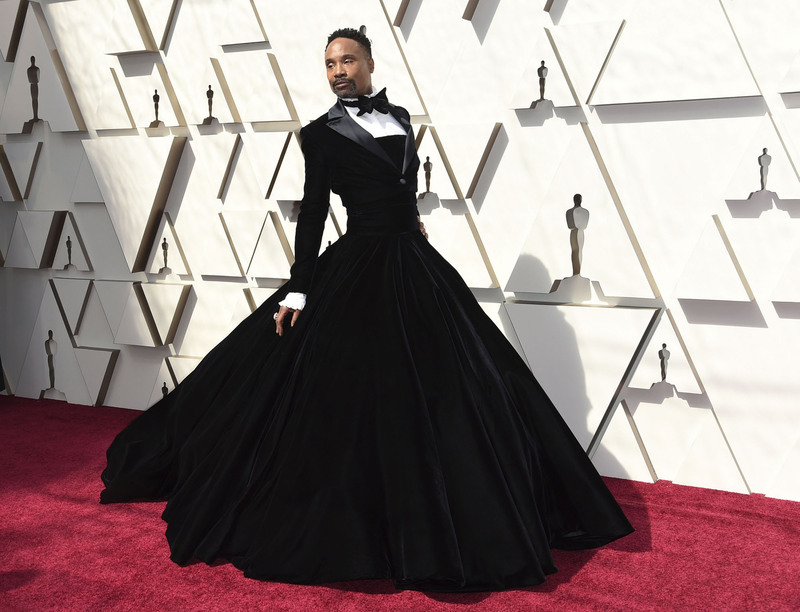 Their combined efforts being displayed on a platform as big as the Oscar’s red carpet has such a meaningful impact on the fashion industry and also the world as people watch the gender roles be rewritten. However, Porter’s red-carpet look isn’t the only time that Siriano has delivered such a meaningful piece. When actress Leslie Jones opened up about her difficulty finding a designer to dress her for the upcoming premiere of Ghostbusters, a movie that had gained plenty of skepticism itself for featuring a female cast and brought Jones an abundance of criticism and hate, Siriano volunteered without hesitation. He explained, “it shouldn’t be exceptional to work with brilliant people just because they’re not sample size.” Jones attended the red carpet in an elegant off-the-shoulder red gown by Siriano, which later became one of his most sold items. In fact, Siriano shared that many of his designs that have been worn by Jones have been some of the most purchased. Beyond working with celebrities and red carpets, Siriano continues his efforts for a more inclusive fashion industry through other projects. In a collaboration with Demira, Siriano joined the Check Your Sweat campaign, aiming to help people with hyperhidrosis, or excessive underarm sweat. The campaign’s goal was to encourage people with this condition to find the clothes they are the most comfortable in so that they can lead confident, comfortable lives. By working with such an overlooked yet empowering cause, Siriano is emboldening people on a topic that the fashion industry has disregarded for so long. In a return to his roots, Siriano is continuing to change the fashion industry as the new mentor of Project Runway. With an emphasis on his reputation of embracing diversity, the new season boasts a progressive, inclusive new take. With an inclusive cast of models and a range of contestants from different backgrounds, the reconstruction of the show promises steps towards a changing representation of the fashion industry, with Siriano as the driving force behind it.